Mick Mulvaney, the Acting Director of the Consumer Financial Protection Bureau  (CFPB) appeared before the House Committee on Financial Services to testify on the 2018 Semi-Annual Report of the CFPB that was released last week. This is the first of the two hearings where Mulvaney will testify, with the second hearing to be held before the Senate on Thursday. Mulvaney said that he was there to answer questions from the committee and was of the opinion that both sides of the political spectrum would be served by fixing the statute on CFPB’s rules and bringing more transparency to the way the bureau worked. A former congressman himself, Mulvaney, who also serves as the Director of the Office of Management and Budget, was asked questions ranging from the extent that the bureau protected consumers’ rights to a competitive and transparent market, to rumors about running for Speaker of the House next year. “My job is to make sure the bureau is acting consistently with our statutory responsibilities, to improve our daily operations and our interactions with consumers and industry, and to ensure we are accountable to the American people,” Mulvaney said. 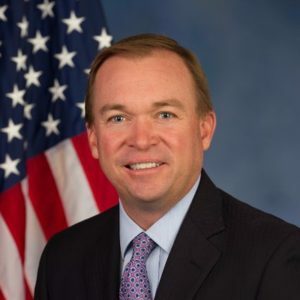 In his written testimony, Mulvaney laid out the new strategic priorities for the bureau, which included recognizing free markets and consumer choice and taking a prudent, consistent, and humble approach to enforcing the law. “This reflects my understanding that consumers and creditors alike gain from mutual exchange, provided that promises are kept, terms are clearly disclosed, and property rights are protected,” he said. On a question from the committee on the bureau’s budget, Mulvaney answered that, while the bureau had asked for $0 for the second quarter, they had requested the Federal Reserve for $98.5 million for the bureau’s expenses in the third quarter. This hearing was perhaps a precursor to the issues that are likely to come up during his testimony to the Senate, such as CFPB’s long-term structure and Mulvaney’s approach to enforcement actions in what is being deemed to be a face-off between him and Senator Elizabeth Warren.